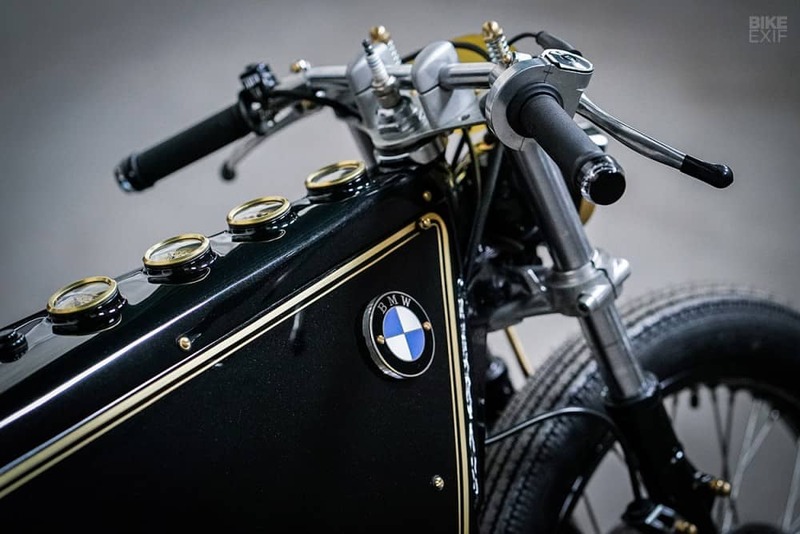 Kingstons Customs Creating Excellence once again. 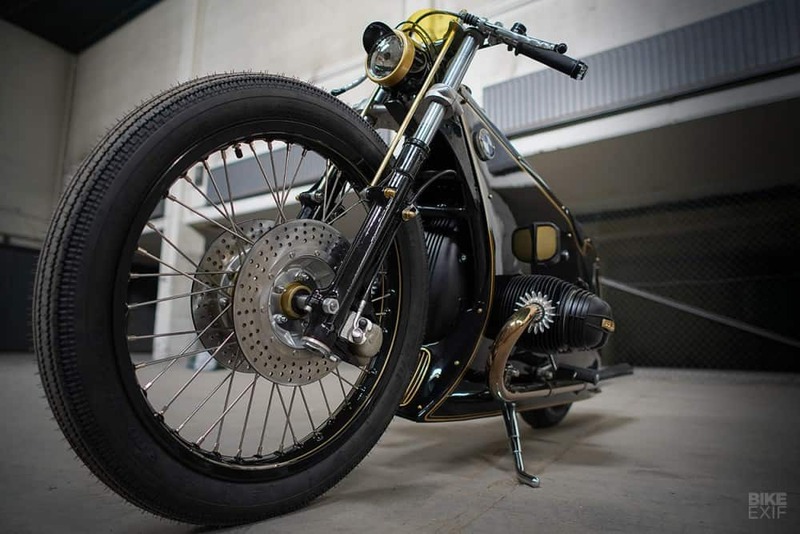 Sometimes a machine will come along and your jaw will drop to the ground, hitting the concrete with an undeniable Thud! 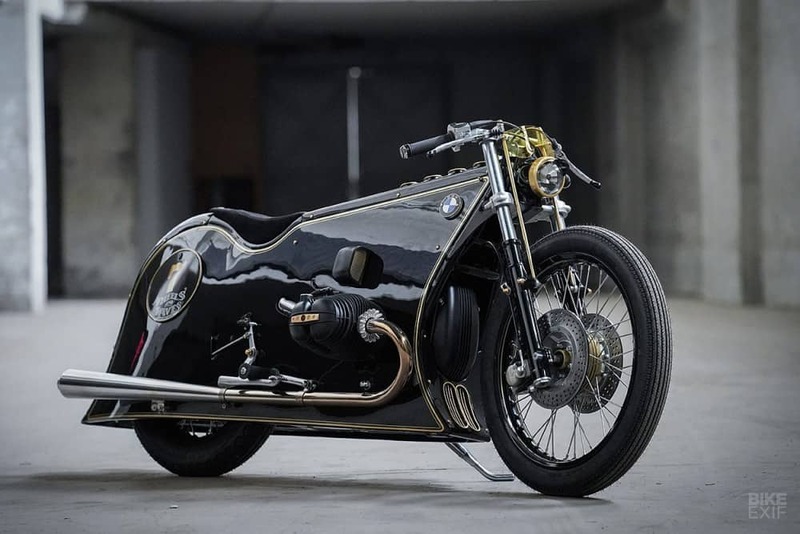 You get Starry eyed and begin to sweat profusely, and today is that day, I mean, first of all just listen to this Motorcycle, what an awesome piece of work. 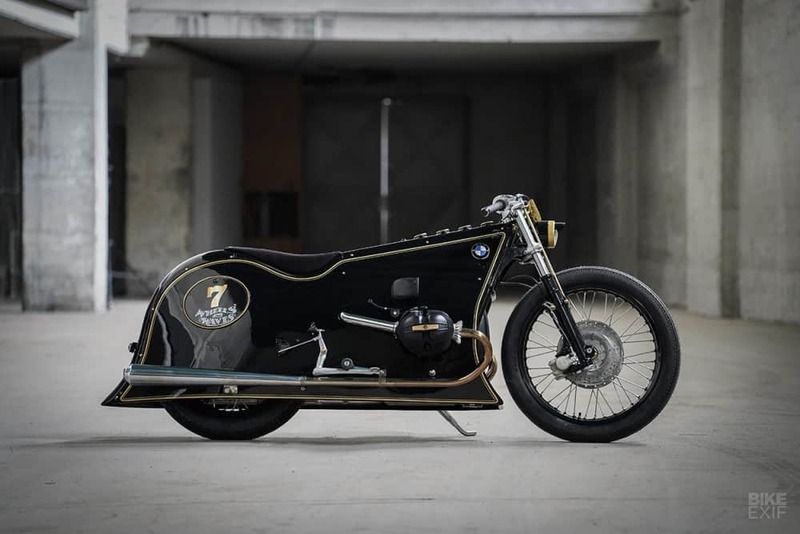 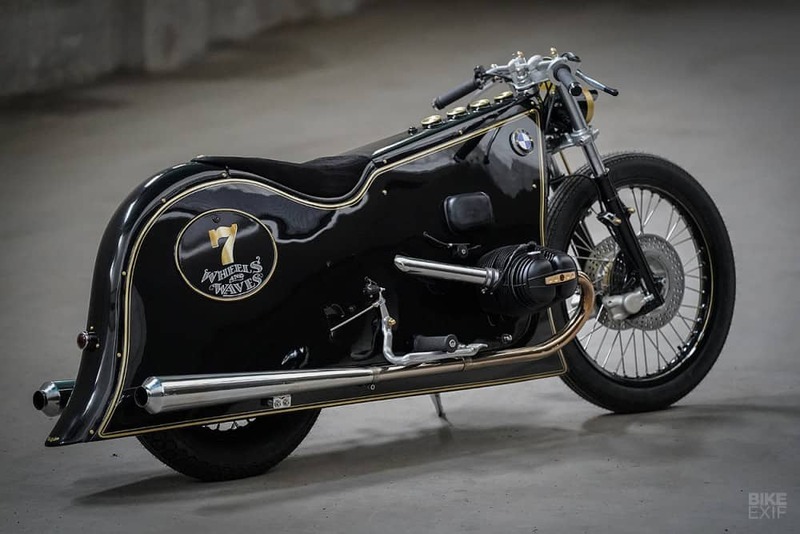 Another style thats new and old at the same time, artistry at its most excellence, I have not seen a motorcycle that personifies engineering beauty such as this Deutschland machine. 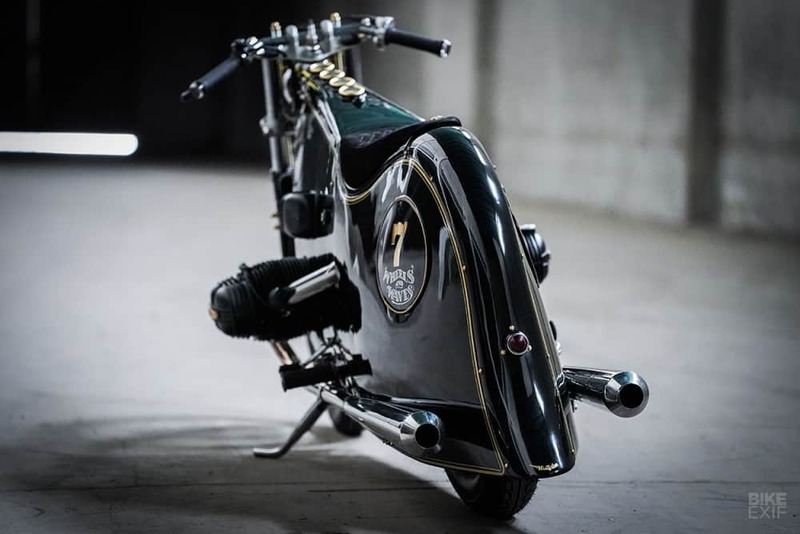 I dont have any good shots of this, so am going to leave it up to BIKE EXIF to show you what they thought when they went out to see this great contraption of 2 wheeled ingenuity and am sure you will be picking your lower lip up off of the floor too. 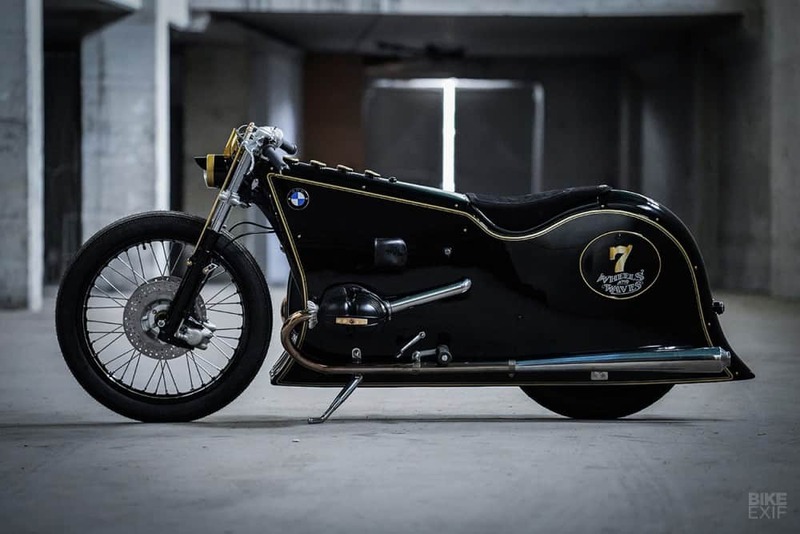 The Black Phantom’s finishing kit is a mix of more Beemer parts, and a few choice aftermarket goodies. 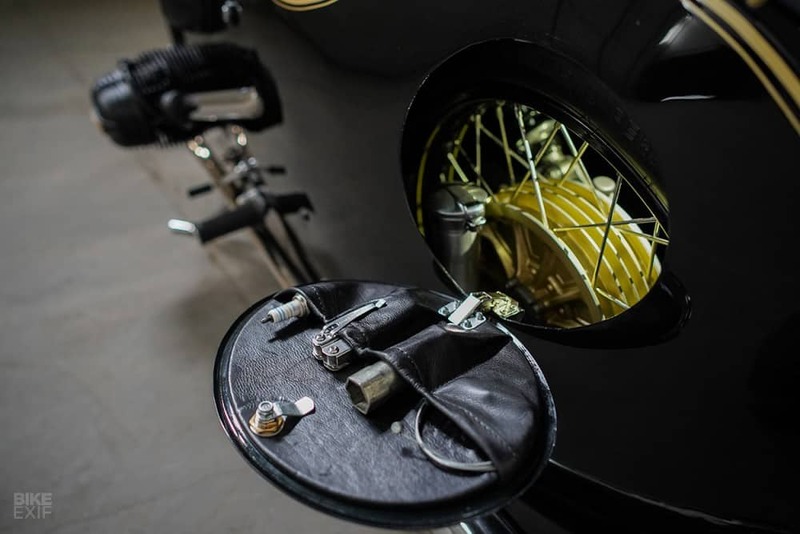 The foot pegs and controls, brake light switch, handlebars and ignition are all from various boxers. 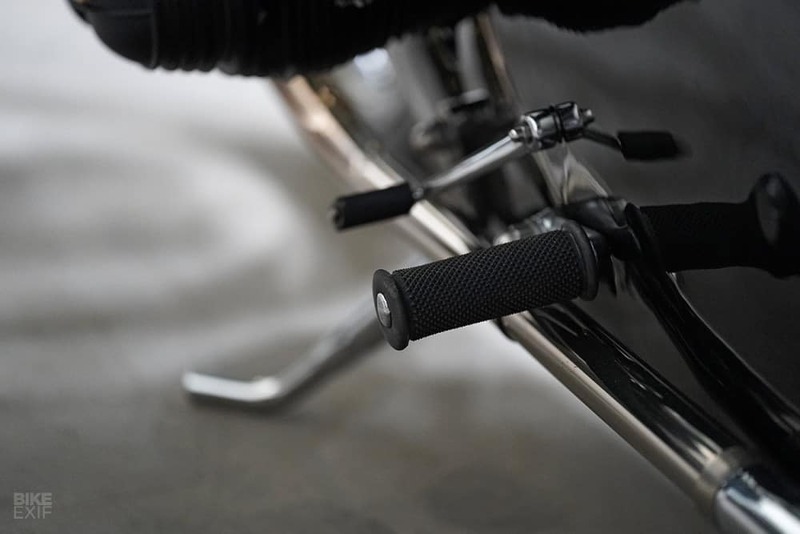 The clutch and brake levers are universal aftermarket numbers, and there’s a pair of motogadget bar end signals. 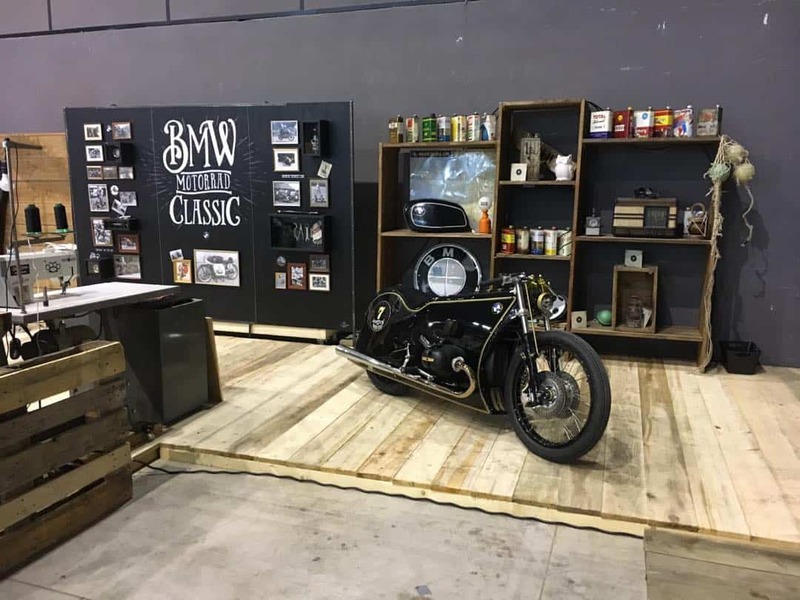 This entry was posted in Blog and tagged Artistic impression, Bike Exif, bmw, custom motorcycle, Dirk Oehlerking, German Engineering, Kingston Custom, R80RT, Stealth, The Black Phantom motorcycle.